Disney may be closing in on a media-industry-rocking deal to acquire a collection of assets from 21st Century Fox. CNBC reports that a deal, which would include Fox's movie studios, could be announced as soon as next week. 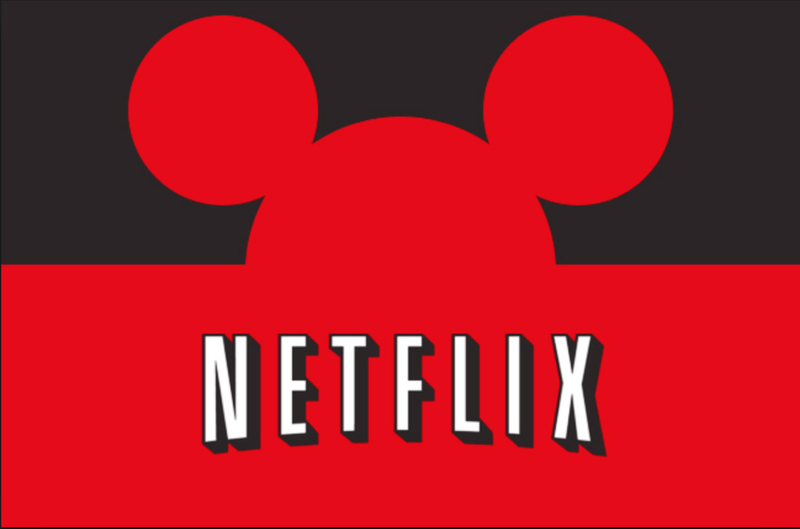 Disney's already declared that it is going to war with Netflix by launching its own streaming service. Already Disney has some big assets to offer subscribers to this potential service, including movies made by its own studios and the rights to mega-hits like Star Wars. But it's going to need as many big guns as it can get in that fight. If the future is less about cable bundles and classic TV advertising, and more about bringing content directly to paying subscribers, giants like Disney can't stand pat. That's where Fox comes in. As one industry observer put it, "nobody knows what the business model of the future is. But if you have a lot of content, you're either going to get people to pay for it, run ads in it, or license it to somebody. So this is a pretty good hedge for Disney." Disney's content library seems as good as it gets: Mickey, Pixar, Marvel. Given the company's plans to pull back on Netflix distribution to build out its own streaming service, it's arguably in great shape to launch its own streaming subscription business. But as consumer media consumption fragments more every year, Disney will need as extensive a menu as possible to make sure they have something for everybody's plate, said Mike Kelly, CEO of Kelly Newman Ventures, a media industry consulting firm. Netflix's approach to this has been to spend heavily to develop new shows, and compete with the likes of HBO and major TV networks for potential hits. With Fox, Disney would grab the rights to a trusted library including X-Men, Deadpool, Planet of the Apes, Avatar, and Captain Underpants, and of course the added capability of finding and nurturing future blockbusters. Beside fighting Netflix, everyone in media is making sure they don't get taken out by the rest of Silicon Valley – namely Facebook, Google, Amazon and Apple. These companies have huge scale, deep pockets and are getting aggressive in content while dominating digital advertising. "People talk about Facebook and Google taking 85 cents of every dollar in digital ads, but the way those companies look at it is that they are only taking like 20% of advertising overall," said Kelly. "They want it all." Indeed, overall the so-called FANG companies "are trying to eat [media's] lunch," he said. For big media players, "this is about being around five years from now." This is where it gets really interesting. CNBC is now reporting that Fox's regional sports networks will be included if this deal happens. That means that while Disney wouldn't control the Fox broadcasting network and its NFL rights, or FS1, Fox's fledgling ESPN wannabe, it could theoretically control local sports networks like Fox Sports Detroit, which broadcasts Detroit Tigers and Detroit Pistons games, or part of the Yes Network in New York, which streams the Yankees and Brooklyn Nets. There's a massive amount of money in local sports rights and advertising. And remember, like parent company Disney, ESPN is planning to launch its own direct-to-consumer sports streaming service, which could suddenly become a lot more enticing to fans of certain local teams. Is this why Disney purchased the streaming technology firm BAMTech? In other words, even if companies like Amazon and Facebook continued to dabble in live sports rights, a Fox deal could be a total game changer for Disney. If a Disney/Fox mashup is about traditional media girding for an 'over the top' future, the FX network could provide to be a great test case. The network has produced a continued slate of prestige shows with small, but passionate fan bases (think "The Americans" and "American Horror Story.") FX has recently begun offering an ad-free version of the network to Comcast subscribers for $6 a month. FX CEO John Landgraf is one of the more respected minds in the TV business, and coined the phrase 'peak TV' describing the current glut of scripted series. He said a few months ago during an Advertising Week event that a linear TV network may not be "the best expression of our brand." Maybe FX tries to become the next HBO Go? Or, as Landgraf noted, maybe FX figures out a way to bring premium TV content to consumers for free – with a limited number of targeted ads. Either way, FX would be a solid addition to the Disney portfolio. "I'm not sure this is about taking on Netflix," Chris Silbermann, managing partner of the Hollywood talent firm ICM Partners told Business Insider. "You only need a few big shows to get a subscription service going, like say CBS All Access (with the new "Star Trek"). But on the film side, this makes total sense. Disney owns it from a big brand perspective. You get access to more Marvel brands like X-Men and Fantastic Four. And given the multibillion bet they have on Avatar alone, there's only one company in the world that can market and leverage it to its full potential, and that's Disney." Netflix is planning to spend an astonishing $8 billion on content next year. How can they keep this spending up? Its subscription service offers a better business model than cable TV or advertising, argued Ted Sarandos, Netflix's chief content officer, speaking at the UBS event on Tuesday. "It's very freeing... owning your IP," said Sarandos. Owning IP can lead to much bigger relationships and partnerships, he said. And Sarandos didn't shoot down the idea when he was asked if Netflix might want to make more such deals. What happens to Hulu? According to CNBC, Disney could end up controlling a majority stake in Hulu – which is a joint venture between 21st Century Fox, Disney and Comcast. This could present an odd conflict: would Disney prioritize it's own streaming service over Hulu, even though Hulu already has a built-in subscriber base? What happens to Hulu if Disney/Fox pulls its content? Would Disney sell it to somebody else? Will it outlive its usefulness over time? Or, as one observer suggested, could Hulu be used as the base service to jump-start a Disney subscription offering? Who's in charge? Could a Murdoch best known for a phone hacking scandal in the UK actually run the company that brought you Moana? Yes, reported the Financial Times on Tuesday. Disney has been seeking a successor for CEO Bob Iger for several years, and Iger has extended his stay past a planned retirement. Is James Murdoch the right man for the job? He declined to talk about the deal at the UBS Media Conference on Tuesday, reported Deadline. Murdoch has painted himself as a digitally savvy, ready-to-shake-things-up media mogul. Is he just what Disney needs? What about a smaller Fox? If the deal closes, the Murdochs will suddenly have a pile of cash, and a small collection of assets: Fox network, Fs1 and Fox News. Those networks are all solid, but will suddenly seem very vulnerable as media becomes all about being big. What if Fox suddenly loses the NFL in a few years, for instance? Could the Murdochs suddenly become buyers again? Or could the family recombine the Fox assets with News Corp. (Barron's, The Wall Street Journal, etc), as Kelly suggested? There are so many other dominoes to fall. What happens to Viacom? Discovery/Scripps? What does Facebook do on TV? Amazon? It will be very hard to stand pat in the new media world ahead.